Christmas charity: Sincere or sentimental? Charitable deeds at Christmastime tend to be viewed as enough giving for the whole year. As the Christmas season approaches, everyone has a list of things to do: buy presents, decorate the tree, put up the Christmas lights, buy an ugly sweater, bake enough cookies for yourself and the neighbors, and fit in that one charity concert, Angel Tree, or other good deed. Christmas, which is a Christian religious holiday that celebrates the birth of Jesus Christ, tends to bring out the warm and fuzzy feeling of generosity in everyone, including non-Christians; but the motivation of this generosity tends to be a sentimental gesture rather than one of pure unselfishness. Angel Tree provides clothes and toys for 1 million children who typically don’t receive Christmas gifts, which is a very kind annual deed. 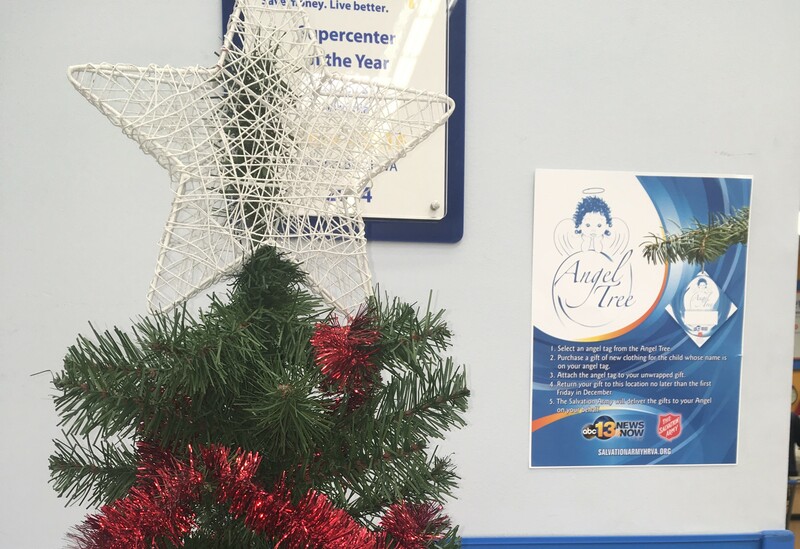 Angel Tree is a “Christmas tradition that makes the season brighter for both the gift giver and receiver,” according to the Salvation Army’s website. Referring to the act of kindness as a tradition that benefits the giver reveals how the action is popularly viewed – as something done once a year for the fun of tradition. As nice of a gesture as it is, Christ didn’t tell us just to do an Angel Tree once a year; He tells us to be like Him all the time. He spent His entire life doing nothing but helping those in need and serving God the Father. That willingness to give everything to others and obey the Lord is similar to the second greatest commandment according to Matthew 22:39, which is to love your neighbor as yourself. If someone truthfully follows that commandment and loves others as much as they love themselves, it would not be hard to give to others all the time, not just at Christmastime. While selling every possession might be a bit extreme, one should at least have the desire to regularly help the less fortunate. Children, and people in general, need help more frequently than just the Christmas season, and there are plenty of organizations that are always in need of donations and volunteers. Non-profit organizations such as Operation Smile and Holt International have the option of making one-time or monthly donations to help children in need. Operation Smile is a Virginia Beach based organization that helps provide people around the world with cleft lip and palette surgeries that can prevent them from a lifetime of being outcasted and left to die. Anyone can donate to this organization and give these people a chance at life, and it only takes $240 to provide a full surgery. Holt international, another organization that accepts donations to aid children in poverty, doubles as an adoption agency for those who want to take on a lifetime of changing someone’s whole world. Changing someone’s world like that seems almost tangible as people shop for the Angel Tree surrounded by shining Christmas decorations in Walmart, but following the Christmas season, people will forget about those in need until next December; and nothing will change if the good deeds stop there.